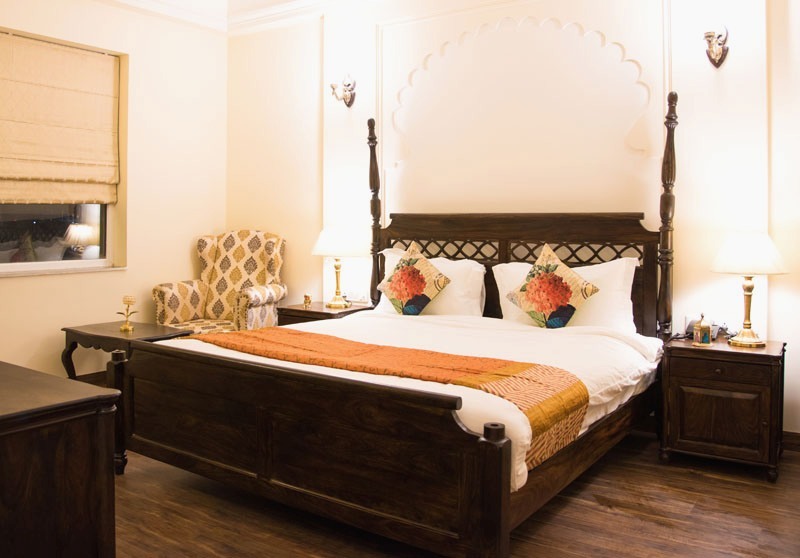 Make your Ranthambore Forest Resort Online Booking for the lavish and tranquil holiday away from the hustle and bustle of the city life. 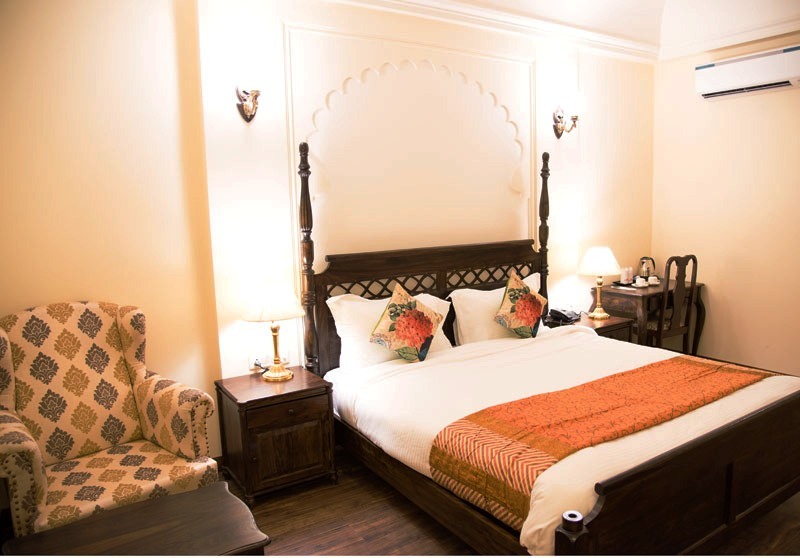 Ranthambore Mount valley Resort is among the Best hotels in ranthambore national park. 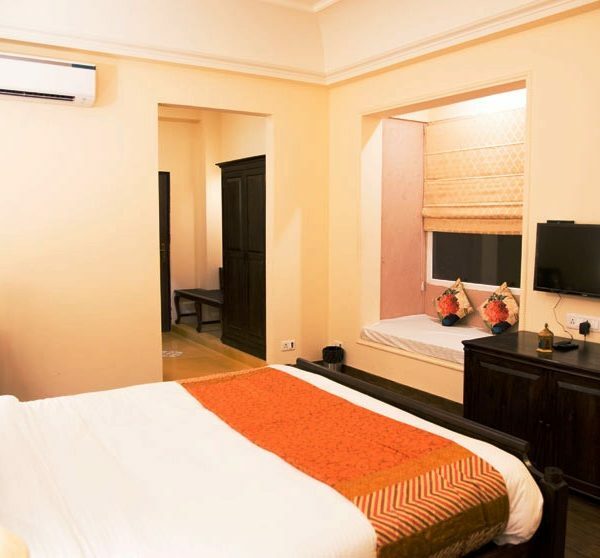 It is enormously perched near the forest of Ranthambhore, among the dense spread of trees and abundant wildlife. 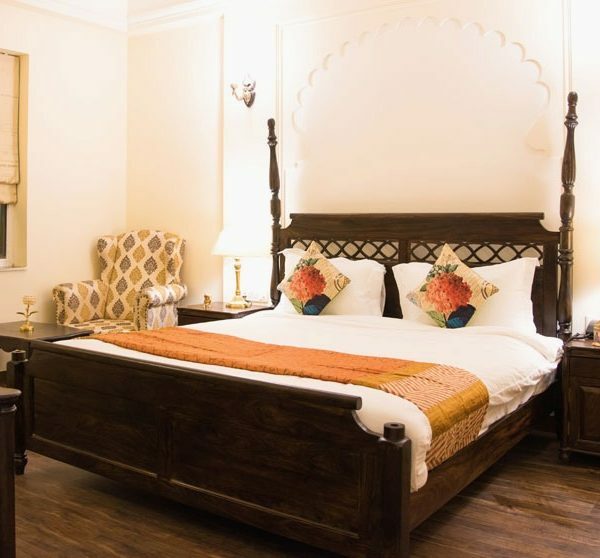 Heritage exterior and interior of the resort are crafted keeping the ethnicity of the forest intact, adding the high-class elegance and contemporary luxury to provide the unmatched holiday experience. 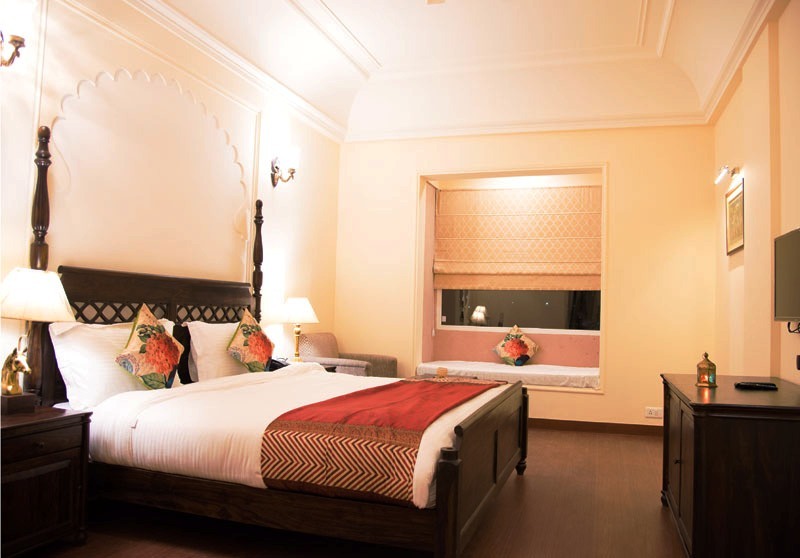 With nearly 28 rooms, including two categories of spacious accommodations as Mount View Super Deluxe and Nature View Deluxe rooms, the resort is perfectly suitable for individual, family or groups. 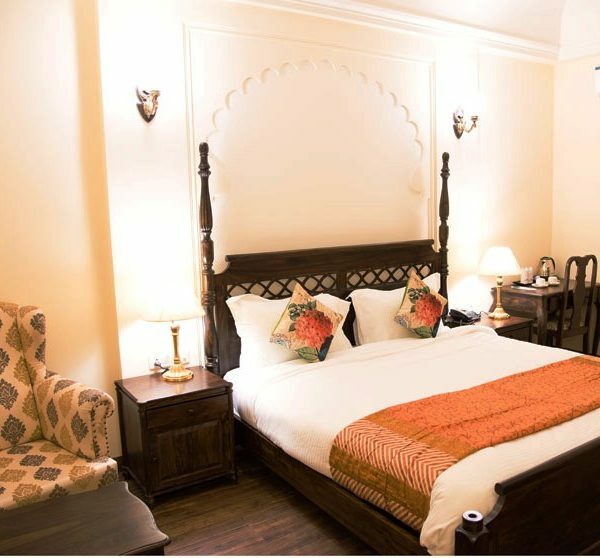 While, relaxing at the bed one can enjoy mountains and nature. 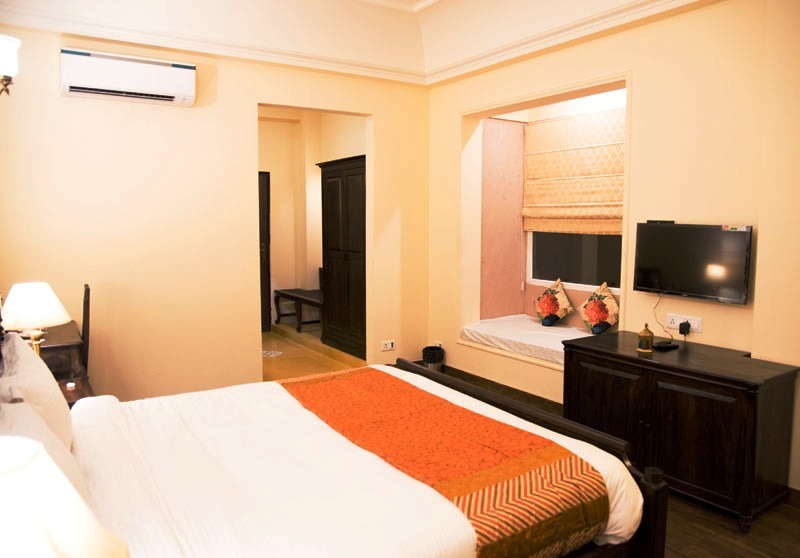 All the rooms have large & comfortable ‘Jharokas’(heritage windows), which can also be used as an extra Bed. 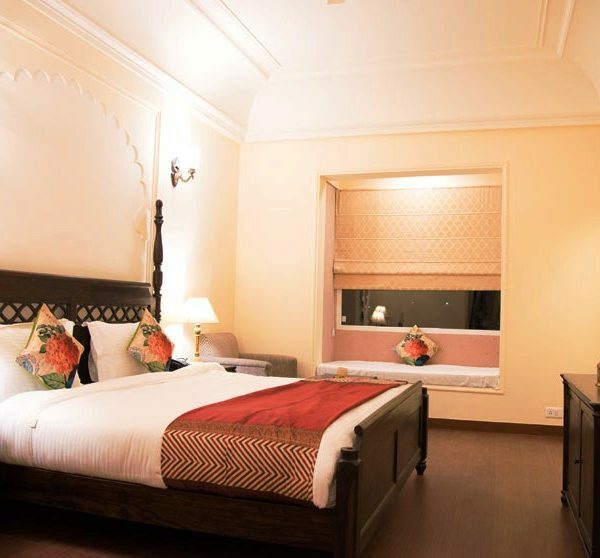 Our Deluxe and Super deluxe rooms are elegant and spacious with a pleasing combination of sleep lounge and work area featuring functionally and aesthetics. 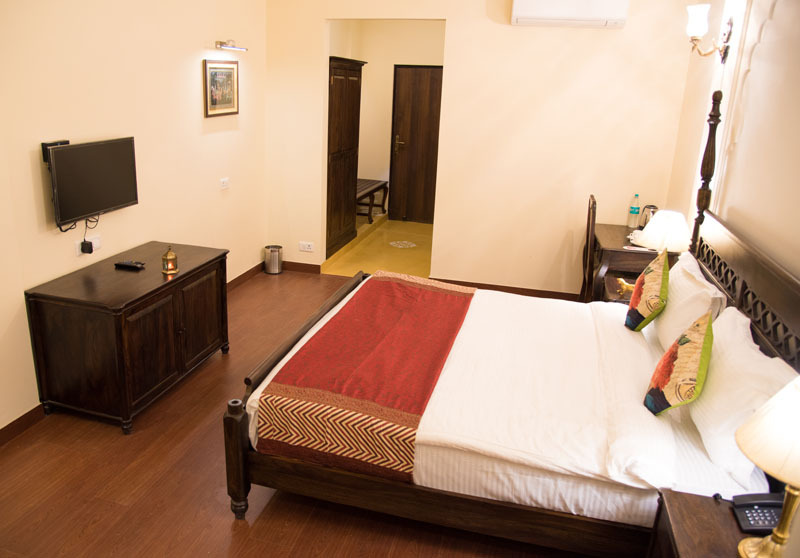 Our rooms are designed to make you relax, eliminate worry and anxiety as you embrace the new reality of total harmony of the environment. The modern bathroom is equipped with premium bathroom amenities. 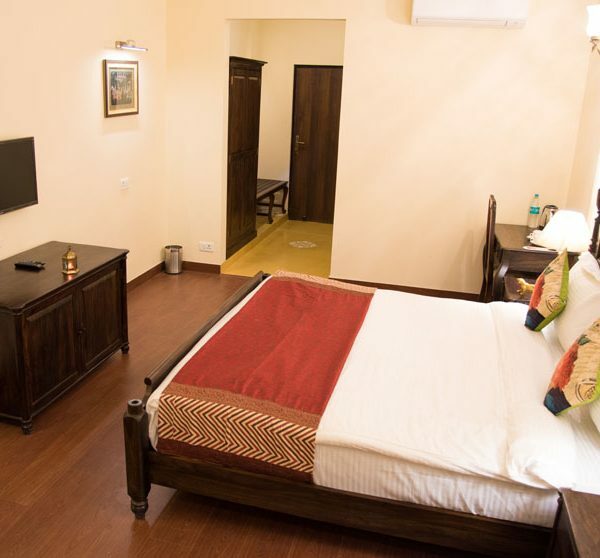 The rooms are pretty spacious and effusively furnished with all the modern amenities such as satellite LCD TV, Mini Fridge, Air Condition, Tea/ Coffee maker, Eco Friendly Toiletries, Working Desk & Chair, Hair Dryer, Iron & Ironing Board on request, Intercom and 24 hrs hot water facility and many more. Check-in time is 12:00 pm., check-out time is 11:00 am. 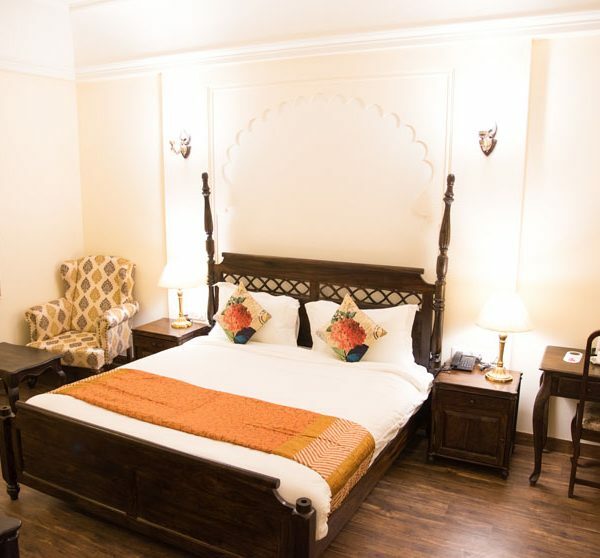 Late check-out is offered upon request and on subject to availability. 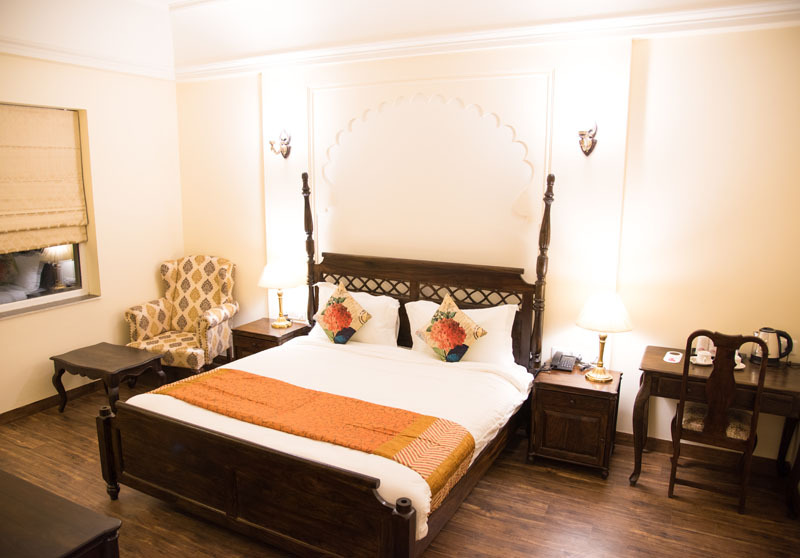 Book your rooms with us because we have the Best place to stay in Ranthambore.